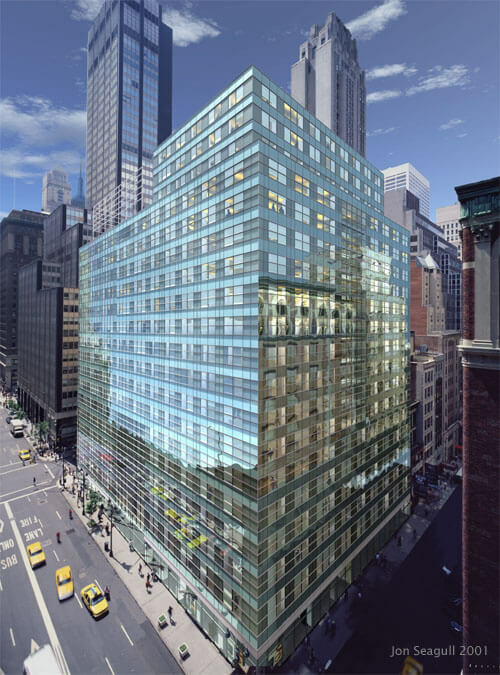 Peconic Partners, a private investment firm, has signed a 8,623-square-foot lease at 599 Lexington Avenue. The firm is over doubling its office space, as it is relocating from its 3,600-square-foot office on the top floor of the 30-story building located at 350 Park Avenue between East 51st and East 52nd. The asking rent in the 10-year lease was $110 per square foot for the entire 46th floor of the 47-story building. Boston Properties recently renovated the building for $15 million, including an upgraded lobby, elevator cabs, and mechanical system. Boston Properties is also investing another $260 million in the surrounding neighborhood at 399 Park Avenue and 601 Lexington Avenue. Please click here with any additional questions about this transaction or here to try our free office space search.